Our product range includes a wide range of 170 ton toshiba used injection molding machine and 80 ton toshiba used injection molding machines. We are well reckoned entity offering high performing 160 Ton Nissei Used Injection Moulding Machine. Available machie is 170 ton used injection molding machine 6000 hours running only. 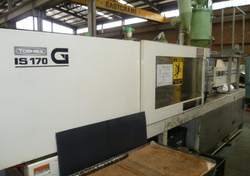 Backed by a team of experienced professionals, we are offering 80 Ton Toshiba Used Injection Molding Machines. In order to ensure quality, these products are stringently tested on various parameters. Our offered products are developed by vendor’s experienced professional in compliance with international quality standard from premium grade metal and other related raw material. Our products can be availed by our clients in different specifications at rock-bottom price. 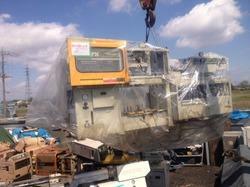 Looking for Toshiba Used Injection Molding machine ?